Ready to get messy? 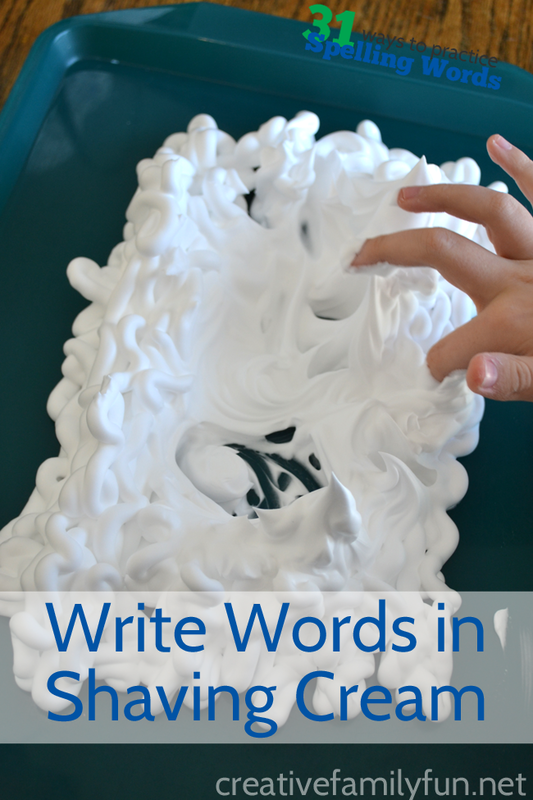 Today, we’re practicing our spelling words with the messiest activity in this whole series. We’re writing them in shaving cream! Get prepared, put on some old clothes, and get ready to get messy. But, don’t get intimidated, these Shaving Cream Spelling Words are really easy to clean up. You’ll need a large flat plastic container and some shaving cream. We used a plastic cafeteria-style tray and it worked perfectly. 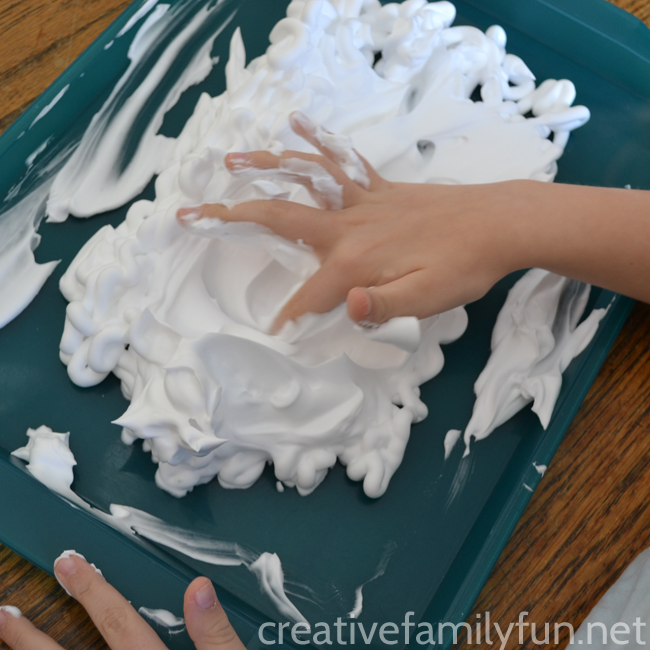 Squirt your shaving cream in a thick layer on top of the tray. Now it’s time to write. 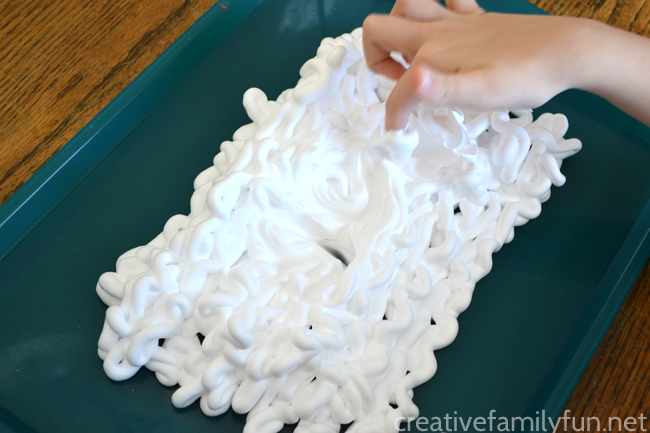 Have your child use their fingers to write each of their words in the shaving cream. As they go along, their hands will get messier and messier. But, that’s the fun of it! Special note: You won’t see the words as your child writes, but that’s not really the point. Just let them write and enjoy the sensory process. You’ll be washing it all away anyway! Clean up is easy. Just rinse your tray off in the bathtub. If you’ve got a large sink, you can use that but my sinks were all too small. If you get any shaving cream on the clothes, don’t worry. Just wipe it off and it will come out in the next washing. Shaving cream may be messy, but it’s easy to clean. 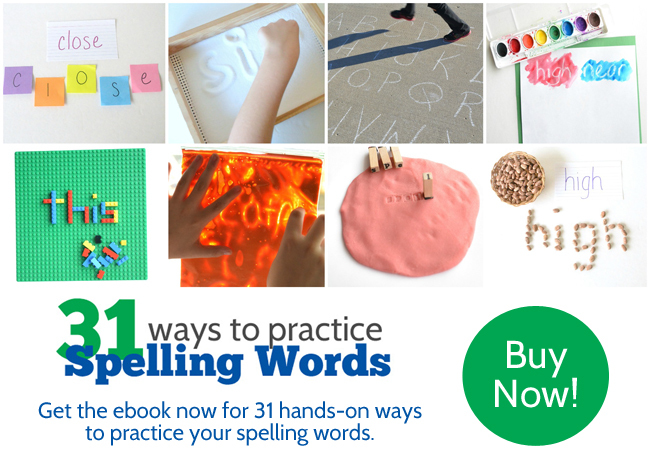 Have a little messy fun the next time your child needs to practice spelling words. They’ll have a blast writing Shaving Cream Spelling Words!